Add animation effects on your website by EasyPress! How about adding animation effects in the texts and images on your site? See how easy it is to add animation effects in text blocks and images on sites built with EasyPress! Make it more modern and attractive to visitors! 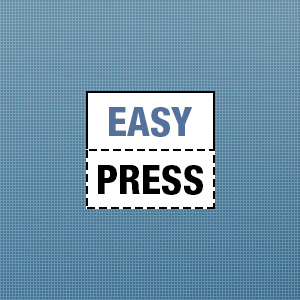 With EasyPress it’s simple, as you can simply click on the text block or photo you want, select an animated effect and add it! The animation happens only at the element input, when it is loaded on the site. Then everything returns to normal, static state, so visitors can read the content without any problem. How does the animation effects work? When the site loads, its text blocks and images appear with animated transitions, what calls users’ attention and makes your site looks good. This type of practice is trending in web design because the modern touch it adds to the pages. Without EasyPress, adding animation effects to the site is much more difficult and dangerous, because it takes the risk of compromising site loading, leaving it slow and causing issues to its navigation. When you try to add animation effects without EasyPress, you must use complex code scripts to run it, and there is a huge chance it goes wrong. In EasyPress everything is just a click away, risk free and configured just for you. There are more than 20 animation effects ready for you to use, as you want! Create free WordPress site with EasyPress by Site.co!